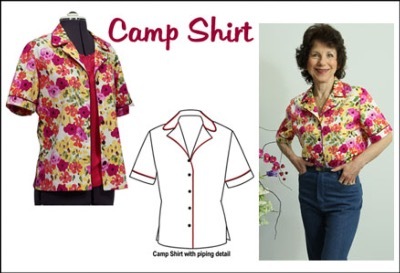 This comfy Camp Shirt can be easily styled from your SFD Shirt Kit. It features a short sleeve, casual collar and sewn-on facing - all piped for special detailing. Worn closed or open over a camisole, it's a great choice to team up with jeans or casual trousers.